I started looking for ideas to encourage families to participate in PE activities together after reading a few tweets from other teachers about their Family PE and Fitness Nights, and attending a session on Family Fitness led by Lindsay Dillon at the #PhysEdSummit 2016 Conference. 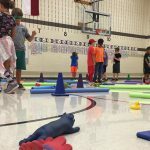 Using those ideas as inspiration, I planned four Family Fitness nights this school year. 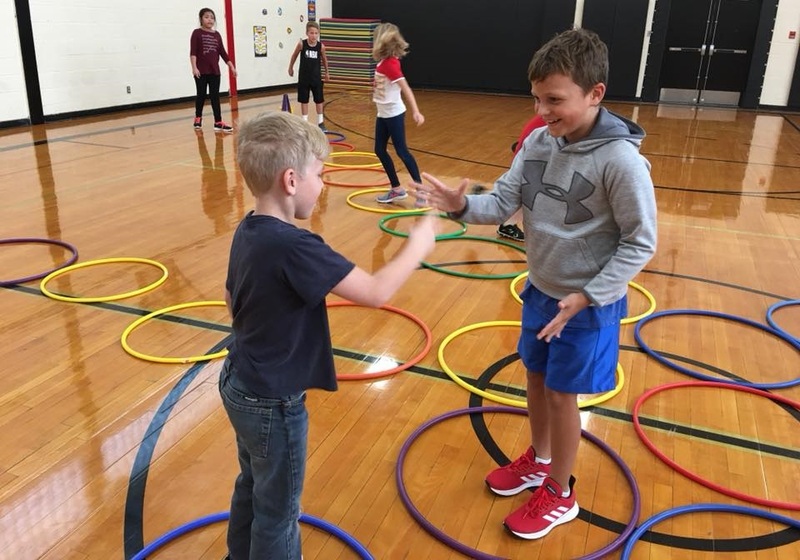 Students were invited to bring their families to the gym on the date designated for their grade level to participate in games and activities they play during PE class. Two of these nights have taken place so far and both have been a big success. One night had over 50 families attend. It was great to see the students, their moms and dads, along with older and younger siblings being active playing games together. 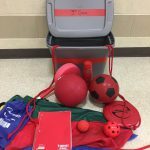 I carefully selected a variety of games and included tag games, skill challenge activities, and cooperative games. 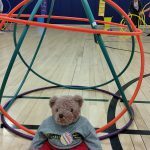 For the first 20-30 minutes as families are arriving, I have a variety of activity stations set up such as Cup Stacking, Basketball, Jump Ropes, Hula Hoops, Beach Ball volley, and Table Ball. Table Ball: Students are put into groups of three at each table. The three players face off across the table from one another. The person who lost the last round always serves first. Play starts with a ball roll ‘serve’ across the table. Once it rolls off and bounces, the next opponent must strike it with an open palm (1 or 2 hands) back onto the table. Players follow a 1-2-3 order, always hitting the ball after the same player before them. Learn the entire game including a warm-up idea here. Star Wars Tag: Divide the group into 4 teams of Jedi’s. Each team is assigned a corner of the basketball boundary line of the gym floor. Each team is given 3 swim noodles of the same color that have been cut in half to represent their lightsaber. When I start the Star Wars theme song, the first 3 Jedi’s from each team enter in the game attempting to tag the other Jedi’s with the different lightsaber color. Jedi’s must tag each other on the leg. When tagged, they hold their lightsaber above their head, return to their line and give it to the next person in line. This game moves quickly. Students don’t have to wait very long in line. For larger groups, you can add a 5 or 6 teams of Jedis if you have enough swim noodles of different colors. Corale the Critters: Divide the group into groups of 3-5. Each group finds a spot somewhere around the perimeter line. Scatter all the critters on the gym floor. You can use any type of equipment if you don’t have many critters. I add cones balls, bean bags, etc. Each group has a hula hoop. On your start signal, one person rolls the hula hoop towards the equipment on the floor. When the hoop falls flat the floor., anything inside the hoop now belongs to the group. The person who rolled the hoop retrieves the hula hoop and any items inside of it and hands hoop to the next person. Jedi Cup Cake Tag: Last year, my students spent time in Jigsaw groups creating new tag games. 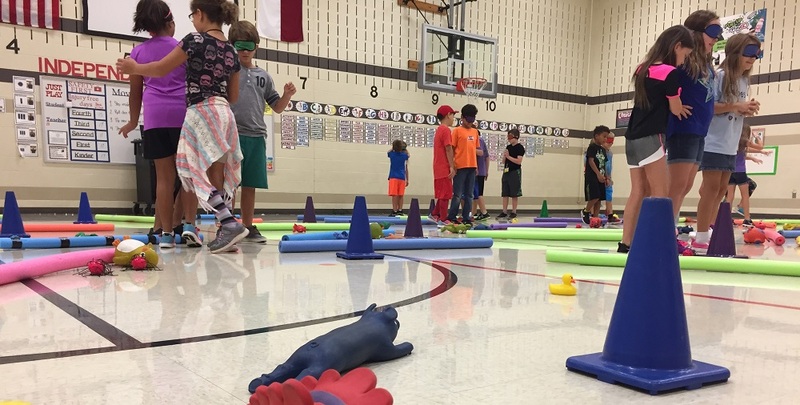 This tag game was created by some of my 3rd graders that has been played by students in other elementary schools in Texas, Iowa, and has far as Saudi Arabia. Start with 3 jedi taggers. When a student is tagged by a Jedi, they stop, hold their hand in a fist over their head, and wait for 3 helpers. Any students fleeing from the taggers can stop and help someone who is tagged. Three students form a circle around the tagged student by joining hands. They say “Cupcake” and the tagged student says “Cherry on Top”. Then the tagged student can re-enter the game. Any students who are in the process of helping tagged students can not be tagged. Parachute Activities: Parents also enjoy playing many of the standard parachute games. some of which they played when they were students! Here are some great parachute activity ideas. 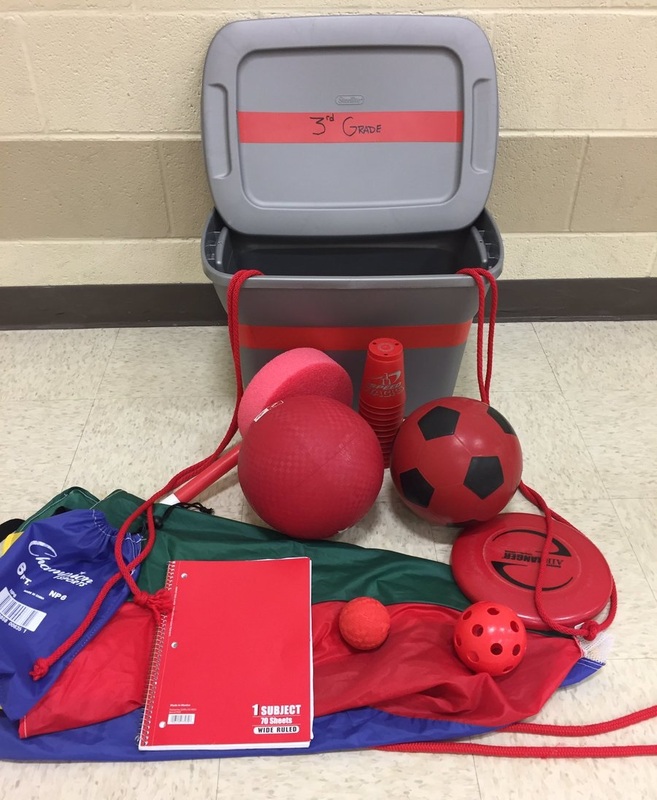 This entry was posted in PE Activities & Games, PE Central and tagged family, family fitness night, Jason Leach, PE, PE activities, pe teacher, physed, physical activity, Physical Education, take PE home by Guest Blogger. Bookmark the permalink.